The School of Music and Dance live-streams numerous concerts and events, free of charge. 2002-present. Event Program PDFs for most performances will be made available as they are completed. 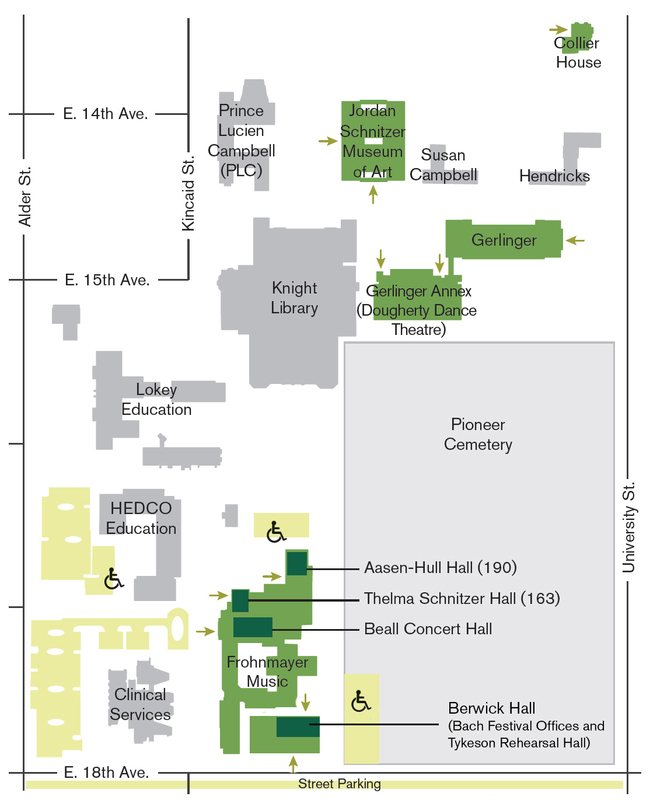 Wheelchair accessible seatings and assisted listening devices are available in Beall Concert Hall. If you have special seating needs, call 346-5679 at least 24 hours prior to the concert to make arrangements. For more information on events, call 541-346-5678. Photography, videography, and recording of UO concerts and events without prior permission is prohibited. UO students majoring in dance or music should review SOMD Student Ticket Policies. SEE OUR PARKING PAGE FOR MORE INFO. Tickets can be purchased online or by phone through the UO Ticket Office, 541-346-4363.